SimpliSmiles (Hicksville) - Book Appointment Online! 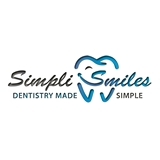 At SimpliSmiles, our goal is to provide exceptional dental care to our patients in a friendly, comfortable, and caring environment; educating and encouraging you towards a state of optimal oral health. We are committed to continuing our education for the latest advances in the dental field today to better serve every patient's individual needs. We feel that one of our most important functions is to listen to our patients' concerns and advise them on their best options in handling the dental health issues. Providing affordable, ethical, painless dentistry is our ultimate goal and mission. He is the friendliest, most knowledgeable and light handed dentist I have ever been to. Did not leave with a sore, assaulted feeling mouth. Any and every question I had, he had well communicated and educated answers. Did not pitch or sell procedures. Highly recommended to anyone looking for a new regular dentist.